Bring in your Computer for a Free Analysis. We'll call you with a cost effective repair estimate typically within 24 hrs. or less. Is your computer running slow, getting pop-up messages, error messages, freezing up, or the dreaded BSD (blue screen of death)? Don't despair, we can help. Whether it be failing hardware, a corrupt operating system, malware and virus infections, networking, or application errors, we have the expertise to solve your problems. We take special precautions to keep your valuable data safe. We can rebuild your damaged operation system, replace missing system files, and repair your corrupt registry. Serving Longmont and the surrounding areas our experienced and qualified technicians will get the job done right, quickly and affordably. For all your computer repair needs, stop in or give us a call. We'll discuss your problems, and come up with a solution that works for you. 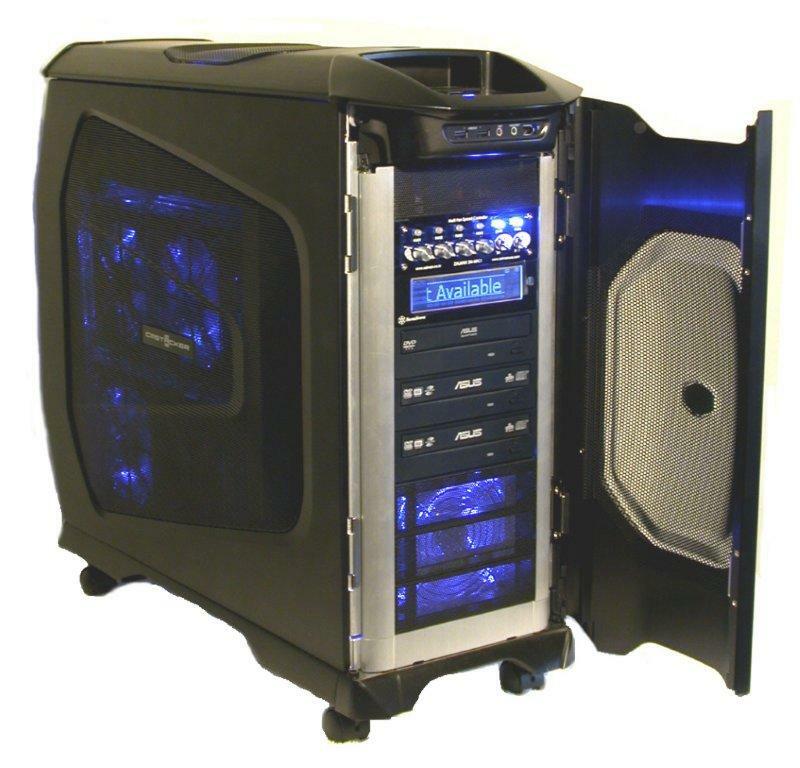 We service all makes and models of desktop computers including custom builds. We can upgrade or replace defective memory, hard drives, optical drives, floppy drives, processors, motherboards, power supplies, video cards, audio cards, fans, cases, etc. We can clean up and optimize your operating system to run like new. We can also upgrade your Windows operating system, transfer your data, and reinstall your applications. We strive to make your repair experience as quick and painless as possible. As we've become more and more dependent on our computers, portable laptops have become increasingly popular for business professionals, students, and busy housewives. Laptops have all the features of a desktop but in a much smaller and mobile package. Laptops however are susceptible to all the same ailments and failures as desktop computers plus the added jostling around and accidental spillage or dropping. We service all makes and models. We replace broken LCD screens, hard disk drives, optical drives, keyboards, touchpads, switches, motherboards, fans, case parts, hinges, batteries and more. 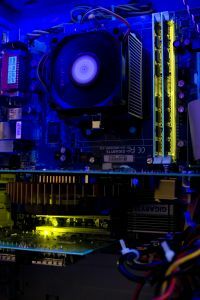 We can upgrade your memory, clean your windows operating system, and optimize performance. We also replace broken laptop power jacks and chargers. We can recover your valuable data from corrupt or failing hard disk drives on your desktop or laptop computer. We'll scan the recovered files for malware and viruses to ensure that there are no infections passed on. Some physically damaged drives may be beyond the scope of these recovery procedures. Networking computers together opens up a whole new world where information and resources can be shared by several users in the home or office. If you have more than one computer in your home or business you might want to share your Internet connection. A simple way is to setup a secured wireless network where all devices can share the same resources, so everyone can have access to the Internet, the printer, file sharing etc, this can also be totally wireless, no more wires or cables to trip over. The costs of networking have dropped dramatically in the last few years and brought the benefits within easy reach of even the smallest business or home user. Whether a simple wireless system or a server-based network with built in security and automated backup systems, we have the right solutions to meet all needs and budgets. Do you need a new desktop, notebook or server computer system, or maybe that high-end gaming or dream machine? Are you tired of pushy salespeople and their confusing technical jargon? Tired of low quality or non-upgradeable computer systems? Tired of talking to foreigners for computer help? Or do you want a computer that has been designed with hardware and software to fit your specific needs with local support? Let our experienced and professional tech's build a customized system just for you or your business at a price that fits your budget. Getting a virus on your system is frustrating to say the least, and can corrupt your computer. Today's malicious software can delete your files, steal your identity and ruin your hard-earned credit rating. Viruses, worms, trojans, root-kits, key loggers, spyware, and adware - today's malware comes in many different colors and can take more than a simple antivirus scan to remove. We have the experience, tools, and techniques to remove the infections from your computer and keep your data safe. Once your computer is cleaned we'll install the latest service packs and security updates to help secure your system. We also install industry leading trial anti-virus software, firewall, and maintenance malware cleaners.